Yay! It's here... my new countdown calendar: the 2009 Toilet Paper Tube Advent is ready for December. 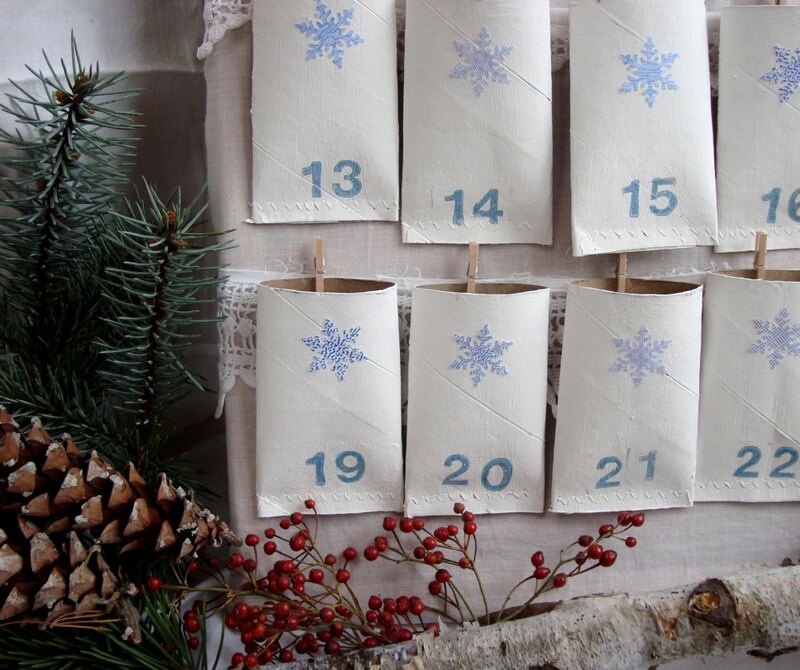 Last year's advent calender gained a lot of recognition on crafty blogs and even continues to be part of advent round ups for this year. I think part of its popularity was due to the use of the common toilet paper tube. We all have them, and they won't stop filling up our recycling bins anytime soon! Therefore, they're one of my favorite resources. This year's design is so simple to customize to your own style and what you might have stashed around the house. It was also much easier to involve my children... so many steps my littlest could be part of. If you'd like to make your own and don' t have enough tubes, ask your friends! 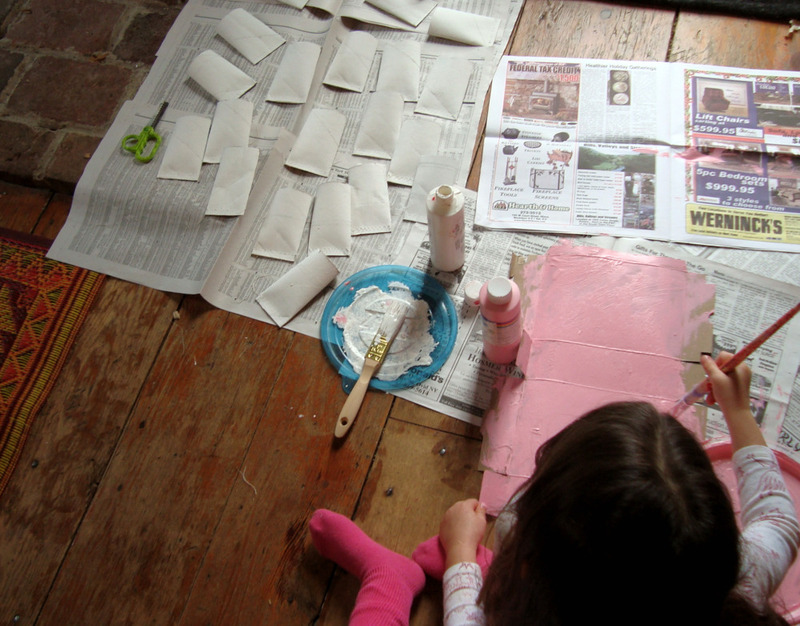 Wrapping paper tubes can be cut to size, or you can always make a few extra from heavy paper in the recycling bin. Here we go! Close one end of your tube. I loved running mine through my sewing machine with a zigzag stitch. Quick and satisfying. Alternately, use a stapler or a glue gun. 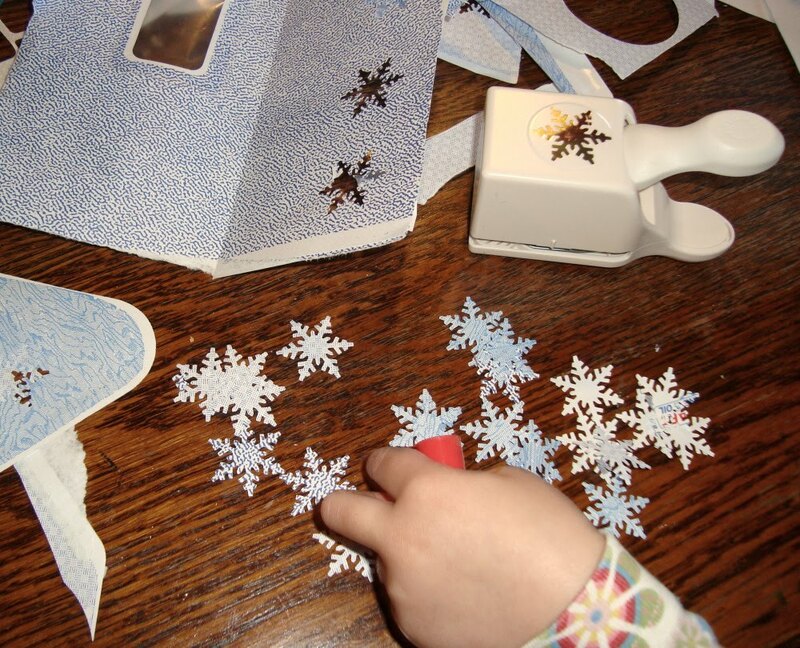 The next step was everyone's favorite: punch out snowflakes (with our brand new Martha snowflake puncher) from blue security envelopes, of course!! I have a feeling we'll be making snowflakes all winter. Adorn your tubes with whatever suits you. We pasted our snowflakes right on. Although we kept our decorating simple, this is where you could go to town with rickrack, pompoms, buttons, etc. Number them. Numeral stamps are easy. Printing numbers on stickers would work nicely, too. Choose your method of display. Ideas: suspended on a ribbon, hung from branches, or on a cork board. My first thought was to just tack them all on a cork board. That seemed super easy, but needed a little oomph. When I went in search of a scrap of white fabric for covering, I spotted my suitcase filled with vintage lace. I bought a collection of crocheted pillow trims at a church sale years ago. They were cut right off of the pillow cases to salvage all of the hard work someone had done. They've felt too special to use, until now! I could use them without cutting into them. 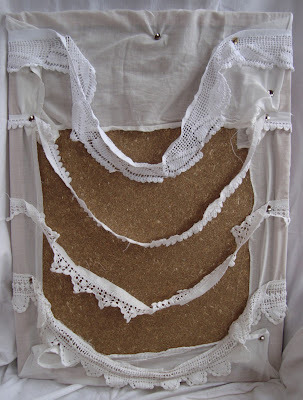 I wrapped my fabric around the cork board and then tacked the loops of lace in rows. You could do this with your favorite ribbons. I'm even in love with the raw edges and even fancy the delicate, drapey backside. All that's left is to attach your little numbered pockets. Oh, you've done it again! Brilliance! I am so ready and inspired to try this...what a memorable affair we'll have making it, and bringing it out every year. You rock! Since I saw your toilet tube adventcalender from last year, me and my daughter have been saving tubes! We'll have a try in a calender of our own. Such countdown calenders are not very known in Belgium, but maybe not for long any more ;) And the idea of "time tickets" is the best idea I've come across, for ages! Love this. I was excited already when I saw your sewn cardboard rolls. I've just made my advent calendar so I think I'll make a bunch of these for othr uses... quite a cute little storage idea/pen holder or something! The lovliest toilet paper tube product ever? I had given up on those as a crafting supply... This means I have to give them a new try! I have mine hanging over the fireplace but I like the vintage board mount you have used. Well done! 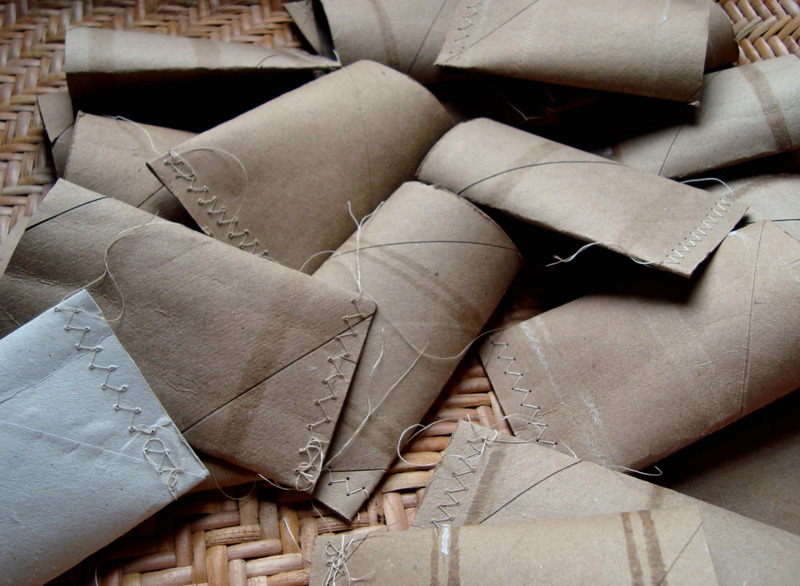 Who ever knew that toilet paper rolls could look so beautiful! I love it - yours looks so elegant and beautiful. And I love that you've used the security envelopes too. Perfect for snowflakes. How clever! I noticed the little sewn(?) snowflake garland too. I was too chicken to try that last year (scared of my machine) but will definitely be trying this year. love all of your ideas and they always look so simple and beautiful!!! Just brilliant: simple and very beautiful. Thanks so much for all of your lovely ideas! !!! Good gravy woman, this is brilliant! Such a great way to reuse, but the fact that you've done it in such pretty way makes it really amazing. what a fantastic idea! i like all the chances for child-involvement! thank you for sharing! You really make the most beautiful thing out of ordinary things! This is another example of the perfect thing to make for (and with) kids. Yay - I love this! I'm just peeking in from family festivities...thank you, thank you!! It look s great. My kids will love to do this project. All of the details are so thoughtful, and such a great re-use! I continue to be amazed at the beauty and potential you see in everyday items, even trash! Beautifully made. 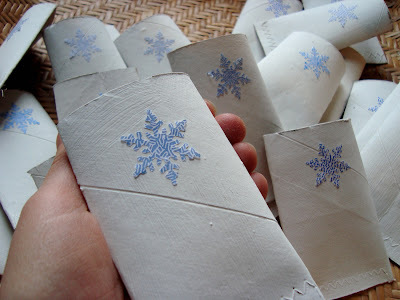 I like sewing paper, I'll try it too. I have two wooden christmas trees that I made from old prune racks from the Dordogne region. They will make a great support for the toilet roll holders and I have just the time to make them with the kids! Wonderful idea! Yay! This is so great. I have been saving my cardboard rolls. I had wanted to so something, but once again I don't have much time. This will be really fun to whip together. A wonderful idea, I've been lurking to find out what you've been working on! I am definitely going to try this - I have 2 sickie children lying about looking sad and we could all do with cheering up - I would love to post this link to my own blog - do you have any objections? Oh Maya - you really are an inspiration. Who'd have thought that such simple ingredients could be brought together to make something so beautiful? My daughter is already excited about making another cardboard xmas tree - inspired by your shop display cardboard trees last year. we went for the super bright (slightly gaudy) instead. A sweet and pretty project to do with the kiddles. I like it! I also spy that pretty snowflake garland. Nice! Love it! I linked to this on my weekly roundup, post is here. Thanks so much! You are officially the coolest blogger around! My goodness! Wowzers. Hat's off to you for this beauty. This came out great Maya. I made one using foam core board, pegs, ribbon, and envelopes. The kids went crazy with the stickers and crayons. They had a blast. I could see making one of yours not even as and advent but as a place to store odds and ends. Great job! Your advent calender turned out wonderful, Maya! It looks like it would be a great family project, with the end result being quite sophisticated from only simple materials. 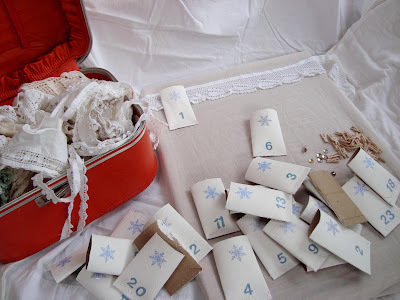 I saw your advent calendar last year and made my own this year...I'm going to post a bit about it on my blog in a couple of days actually. My calendar is for my husband, I filled it with notes, treats and clues to suprises. He's excited to begin opening it all up on Tuesday, it's kind of cute! 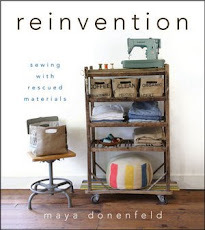 I love the idea of reusing materials. 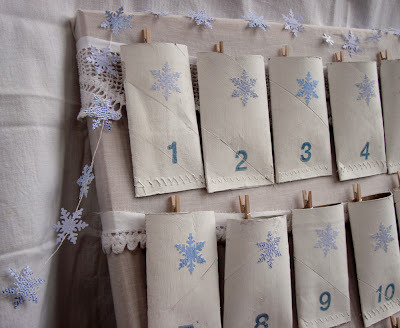 I love your recycled Advent calendar !!! if you would like to enter, I'd love it ! 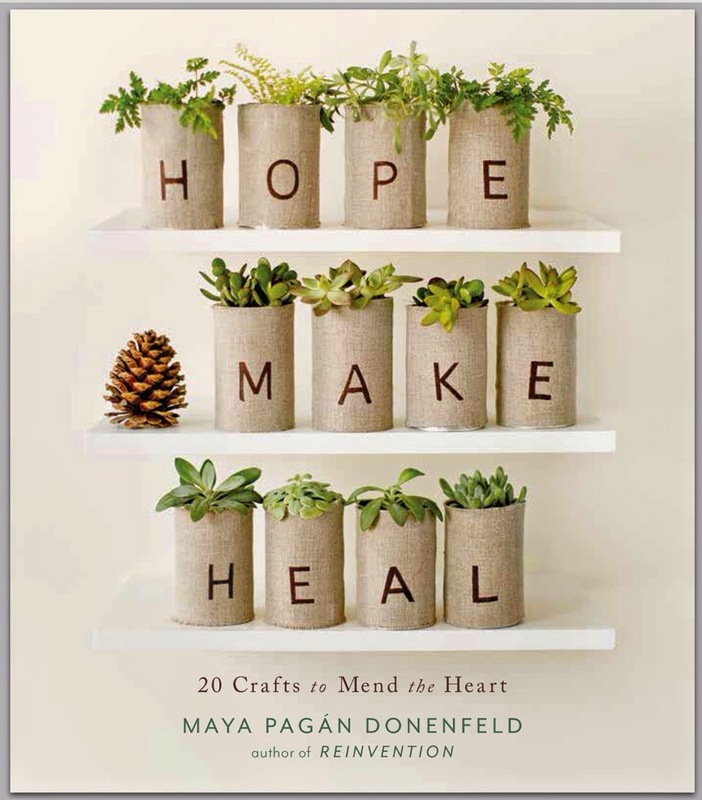 This is such a wonderful idea to use up all of the toilet paper tubes - we will have to save them to use next year and to make this! Très joli... j'aime beaucoup ! I love how you take the time to give us these tutorials. Your blog was one of the first I came across last Christmas when I decided to try and do more "handmade" stuff - a loyal reader ever since - and now brave enough to thank you! Super cute! I love the security envelope snowflakes. And only you could make the lowly TP tube look beautiful! I haven't been able to stop by your blog for quite sometime [newborn baby and all] but I am in awe of everything I am seeing. our ideas and creations are so lovely!! 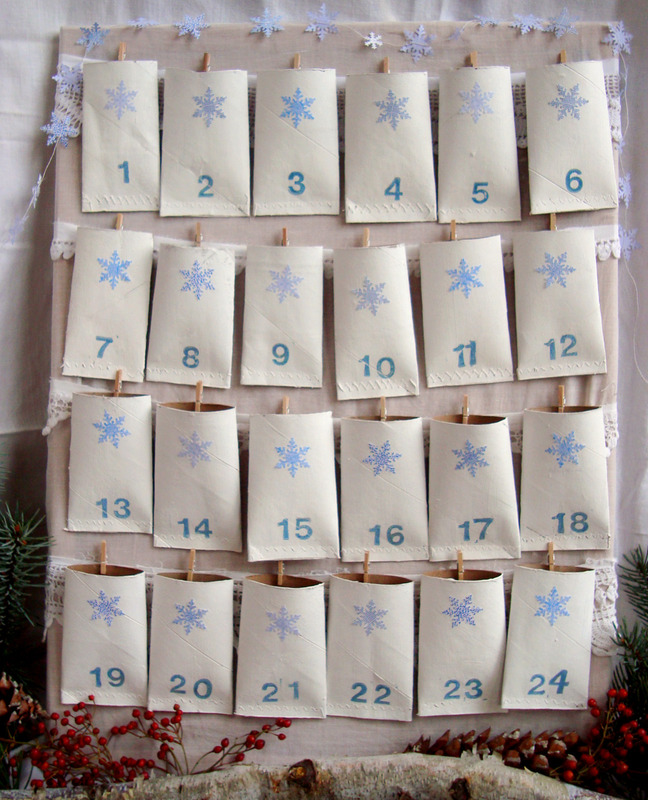 I have been wanting to make an advent calender, but never got around to it. Now I am inspired. That is so,so beautiful Maya, I love it! What a creative use for paper rolls. Thanks so much for this, I'll be linking. Brilliant! Fantastic post - linking for sure because this project is so creative! Thank you for sharing. This is so adorable! 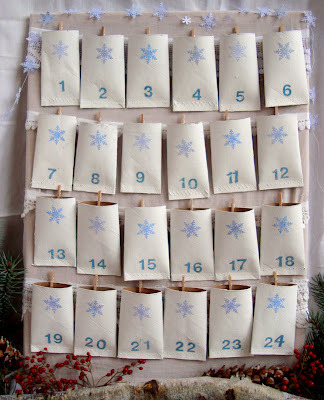 I love how creative and resourceful it is...YAY for advent calendars...I have got to decide on one to make next year! I've just discovered your great blog! 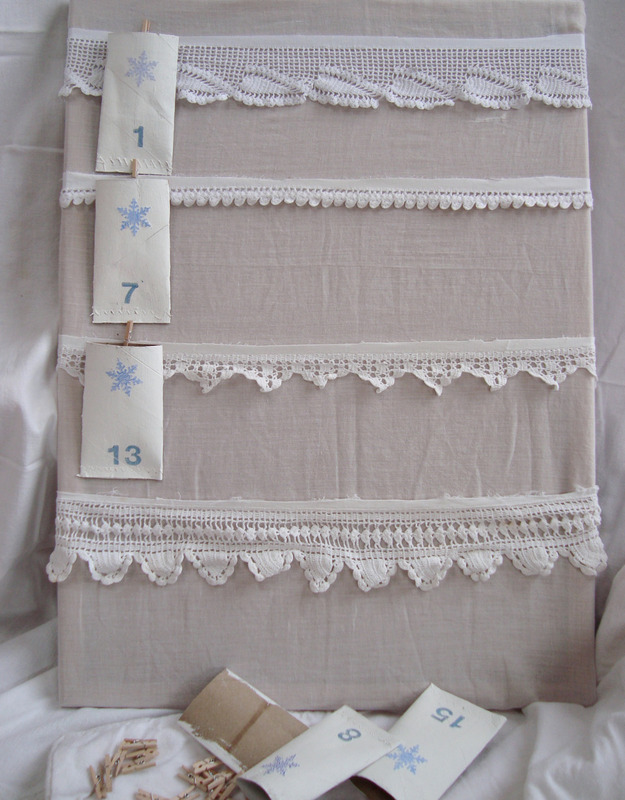 This calendar is really nice, I love the idea of recycling and the result is beautiful! Thank you so much for sharing your Advent/countdown project with us. I appreciated the simple instructions, options for personalization and the great idea for using security envelopes. I also enjoy your lovely writing tone. Awesome! That calendar is amazing!! I'm totally inspired!! What a great idea. Thanks for sharing with us. Vielen Dank was für wunderbare Idee,ich freue mich so sehr.Danke!!Edith. Super Cool idea! !I am your new follower. Love your advent calendar! I just featured it in my "Links of Light Bulbs" collection of TP crafts! I loved your calendar so much that I made one myself this year. Here's a link to the post featuring it. Merry Xmas! Thanks for sharing your awesome idea! Have a great weekend! I featured this post on a series I do on my blog about five uncommon things to do with common items. This week? Toilet paper rolls, of course. The beauty of it was that we pulled it together with things we found around the house...not as pretty but just as fun.